Findwise - Welcome to a great place to work! 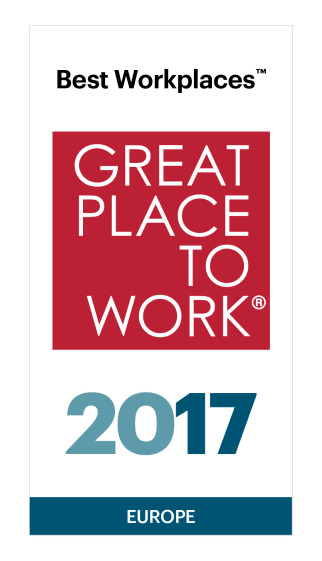 Welcome to a great place to work! Work with a team of highly skilled consultants within areas such as software engineering, user experience, information management, business analysis and linguistics. Together we help customers find the information they need, analyze their data and turn it into valuable insights. Findwise approach to management is to maintain an open, trusting environment with a flat organizational structure, in which flexible working hours, freedom and own responsibility are principal. We believe that this approach combined with a lot of fun activities is the best way to increase engagement and innovation. And so far, it has paid off; We are currently on 9th place in the Great place to work ranking in Sweden, 39th place on the Great place to work ranking in Europe and we were also named National Champions in the European Business Awards earlier this year! Want to know more about what we´ve done or how it is to work at Findwise? "As an employee you are encouraged to take risks. If you succeed - great, if you fail - it's not the end of the world." Findwise labs- get inspiration and test projects from the lab!